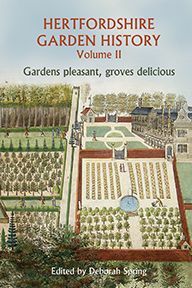 Garden history is more than the study of individuals such as ‘Capability Brown’ who created estates for a wealthy élite. 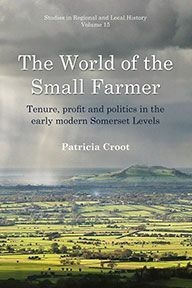 A new approach, which includes insights from geology and archaeology, the perspectives of social class and gender, the history of art and architecture, science, technology and literature, is changing our perspective so that we can see gardens and gardening within wider social, economic, political and cultural contexts. Landscapes were created, formed and interpreted by town dwellers, women and lesser-known gardeners and designers as well as the ‘great men’ of the past. 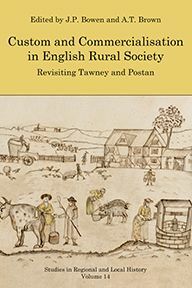 Based on papers given at a conference at the University of Birmingham, and written by distinguished scholars who are also writing for a wide audience, these essays highlight the wealth of recent research into landscape and green spaces in the West Midlands. The book ranges from the Picturesque movement in Herefordshire to William Shenstone’s unique ferme ornée at The Leasowes, near Halesowen and the aspirational gardens and allotments of the Quaker ironmasters at Coalbrookdale in Shropshire. Other contributions celebrate women’s entrepreneurial activity in the nursery trade, chart the uncovering and restoration of a hidden eighteenth-century landscape at Hagley in Worcestershire and explore the lost Vauxhall pleasure gardens in Birmingham, which were established as a commercial venture in the eighteenth century. An examination of Victorian public parks reveals how their aesthetics were shaped by architecture made from the products of manufacturing industry while a study of three modest suburban estates considers how local industrialists shaped the environment of south Birmingham. 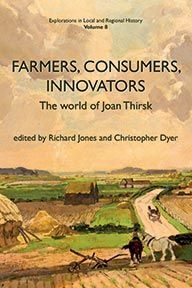 The relationships between health, medicine and green spaces are explored through an analysis of the role of ‘therapeutic landscapes’ in late-nineteenth- and twentieth-century Worcestershire. 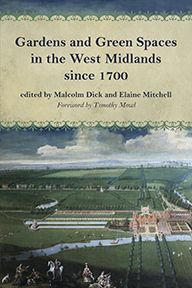 Enhanced with maps, plans and black-and-white and colour illustrations, this is a volume of important scholarship that places the West Midlands at the heart of landscape history. Elaine Mitchell developed her interest in garden history whilst studying for her History undergraduate degree and MA in West Midlands History at the University of Birmingham. She is completing a PhD on gardens and horticulture in eighteenth-century Birmingham.